When you are planning to set up a business in India and you cannot afford a failure, a grocery store could be a rebuttal. Whatever the ups and downs faced by the economy, grocery remains vital need of beings without which things cannot be worked out on daily basis. There are 6 options that are: sole proprietorship, partnership, one Person Company, limited liability partnership, private limited company and public limited company. A sole proprietorship is the easiest business structure to start with and this is exactly why it is a popular choice amongst those wanting to start a grocery store. Opting for this structure would mean less legal compliances, making it easy for you to handle the store on your own. Register the store under sole proprietorship at the nearest local municipal office. There are no additional costs involved and only a current account is required to be registered with the grocery store at a bank. Corporate tax rates will not be levied on the grocery store in case of a sole proprietorship. As an owner of a shop, you need to register your shop under ‘The Shops and Establishment Act. The act defines ‘shops’ as any premise where goods are sold, either by retail or wholesale and where services are rendered to customers. It is, thus, implied that a grocery store is covered within this definition. The owner of a shop must submit an application along with the required legal fee to the Inspector of the local area within the prescribed time. The prescribed time for submission of the application and the legal fee may differ in States. The application consists of the owner’s name, shop address, number of employees and other necessary details. The chief commissioner, on satisfying himself with the application will issue a certificate of registration to the shop. The shop owner is bound to prominently display this certificate at his shop and ensure periodic review of the certificate. The shop owner may make amendments to the certificate by notifying the inspector within 15 days of the occurring of the change. The relation between the inspector and owner of the shop doesn’t end with the establishment of the shop and its registration. The owner has an obligation to inform the inspector of the closing of the shop within a prescribed time to get the certificate canceled. The Indian Government, in order to ensure registration of shops in the country, has facilitated online registration. Any business in India that deals with food is known as a ‘Food Business’, under Food Safety and Standard Authority of India (FSSAI). The owner of a grocery store for the purpose of licensing is known as a Food Business Operator (FBO). The FBO needs to first realize the ‘capacity’ of the shop/food business, in order to apply for a specific category of license. The amount of turnover is the biggest determiner of the kind of license granted to an FBO by FSSAI. If a food business has its branch in more than one state, it has to obtain a ‘central license’ for its head office. A Food Business with an annual turnover of Rs. 20 Crores qualifies for a central license. If a food business has an annual turnover of Rs. 12-20 Crores, then it must obtain a ‘state license’. A license, once obtained, under FSSAI is valid for 5 years, after which renewal is mandatory. However, one category of FBOs have been exempted from this obligation and that is ‘petty food manufacturers’, who have an annual turnover less than 12 Lakhs. Petty food manufacturers are small-scale manufacturers with a capacity of less than 100 KG of production in a day or are temporary vendors. 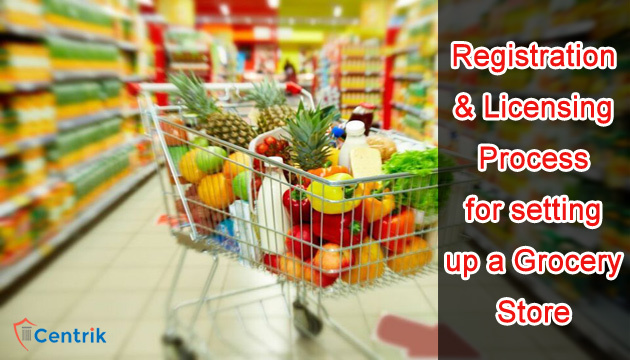 They are merely required to register themselves by filling Form A under Schedule II of FSSAI and not obtain a license. An FBO may obtain a central license by applying on http://www.fssai.gov.in and sending a copy of the required documents and prescribed legal fee to the Central Licensing officer within 15 days of filing application. Form B in the Scheduled 2 is to be filled to obtain a state license and submitted to the nearest designated officer along with required documents and the prescribed fee.